Complete with 'Rail Operations Group' headboard, and in stunning lighting, unbranded 43134 passes Badgeworth on 22 October 2017 with the 5L46 10:00 St Philips Marsh to Ely Papworth Sidings ECS. 43036 is bringing up the rear. 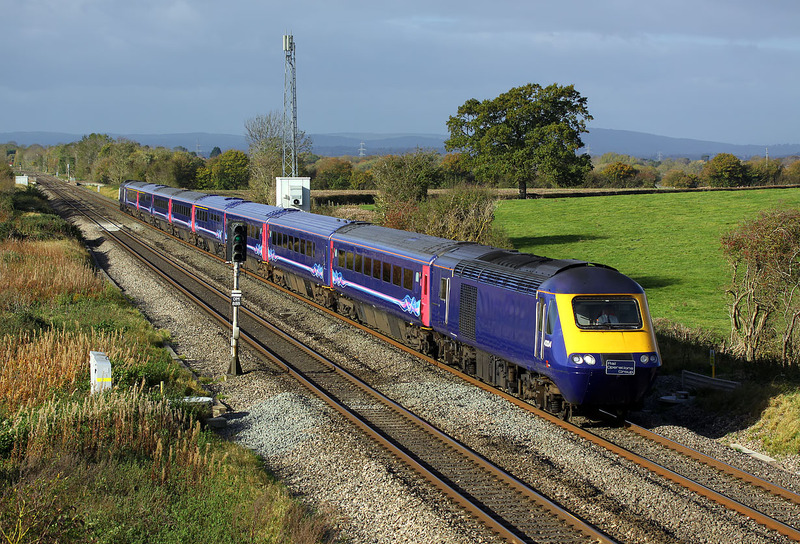 With the Class 800s gradually coming into service, GWR's HST's are slowly coming off lease. After many decades of work, this set is leaving the area for the last time. The coaches are going into temporary storage, while the power cars are destined for refurbishment by Brush at Loughborough, and then a new career in Scotland.